Jackie Sibblies Drury’s drama is brilliant — and unsettling. The recipient of the 2019 Pulitzer for Drama has been announced, and the winner is both odd and terrific. Fairview, written by Jackie Sibblies Drury, is now a Pulitzer Prize winner, and it is also the play that has made me the most uncomfortable I have ever been inside a theater. In a good way. Fairview is supposed to make its audiences uncomfortable. That’s the point of the show. And in recognizing it, the Pulitzer Board is making a statement: It is rewarding shows that are aggressive toward their audiences, that refuse to let us relax into easy catharsis. That’s a good thing. Fairview was staged in 2018 by New York’s Soho Rep, where I saw it, and it will return to stages this June. It reveals itself to the audience slowly, one sharp-edged act at a time. In its first act, Fairview appears to be a warm-hearted if slightly dated family comedy. Beverly Fraser, a frazzled suburban mother, is preparing for her mother’s birthday party, and she wants her house to be perfect for the occasion, but she is alternately helped and harried by her loving husband, her drama queen sister, and her unpredictable teenage daughter Keisha. Oh — and the Frasers are black. But that’s not important in a post-racial world. Right? It all feels like an episode from an early ’90s black family sitcom, a little bit Cosby and a little bit A Different World. The jokes are all amplified just a little beyond naturalism, and the conflict is gentle to the point of feeling slightly sleepy. There are only occasional flashes that something might be just a little bit off: The music is spiked with bursts of static; once Beverly seems to almost peer over the edge of the stage and out into the audience; Keisha addresses the audience directly, just once, breaking the fourth wall in a brief, jarring moment. But all of those flickers pass by so quickly that you aren’t quite sure what to make of them — until the second act comes. Acts two and three are simultaneously dazzling and discomfiting in the ways they demand accountability from their audience. They surgically deconstruct everything that has come before, and devastatingly, they reveal the double meaning of the play’s title. “Fair” as in just, and “fair” as in white. If you haven’t seen Fairview and you plan to do so soon, I’ll advise you to stop reading now. Because Fairview is at its best when you have no idea what’s coming — but to talk about it, we’ve got to talk about some spoilers. As act two of Fairview begins, the Frasers are repeating all of the actions we saw them execute in act one, but now their voices are muted, inaudible. Over them, a voice that is recognizably white and male, and almost certainly straight, speaks in a chatty, naturalistic register. He’s joined by a group of recognizably white voices, who talk amiably over the action onstage as though they are making small talk at a party: a flamboyant gay man, a French woman, an American woman wary of offending anyone. Gradually, it becomes clear that they too are watching the Frasers onstage, and they are gleefully fetishizing what they see. The gay man sighs over the “fierceness” of black women. The French woman sneers that “these people” have no taste, that they are bourgeois. The American woman, who repeatedly tells everyone else how problematic they are being, bursts into tears when she talks about being brought up by a black nanny and as a result really understanding African American culture on a level that no one else does. The straight man tells her that she’s not fierce and strong enough to be a black woman. All of this is enough to make the white audience members squirm in their seats in discomfort — but the atmosphere gets that much more charged once the owners of the offstage voices charge the stage and try to take over the action of the play themselves. And then it gets even more charged when Keisha tells them to stop, turns on the house lights, and then turns to the audience to ask everyone who identifies as white to leave their seats if they are able and climb onto the stage. It’s also the moment that makes Fairview unforgettable. 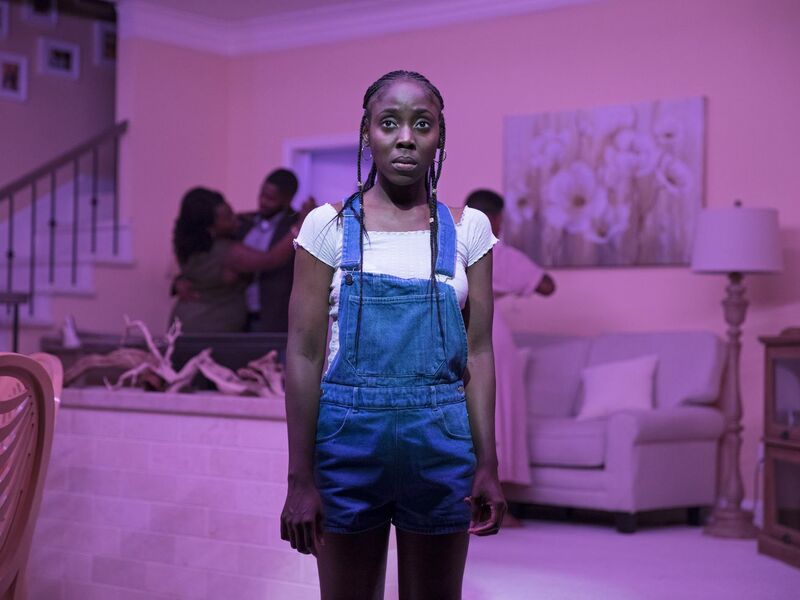 This play is asking white people to stop suffocating black people with their fetishistic interest, to allow black people to tell their own stories, to give them room to be subjects rather than objects — and the final moments of the play make that request literal. They make the stakes of the question as close to real as they can get inside the walls of a theater. It’s a fair question, and Drury poses it as directly and intensely as it is possible to do. In honoring Fairview, the Pulitzer board has also honored that question, and made it one that can be central to the way we talk about stories both inside the theater and outside of it. Banksy Painting: Who Knew It Was ‘Self Destruct’?